Last Friday, PSEI closed to 7,247.12. The market is on its lateral movement since start of the year up to this first week of March. So what will happen next? I really don't know. I will leave it to the expects. The thing is... I believe in LONG TERM investment truth Strategic Averaging Method like what's Truly Rich Club is teaching me. It's correct! 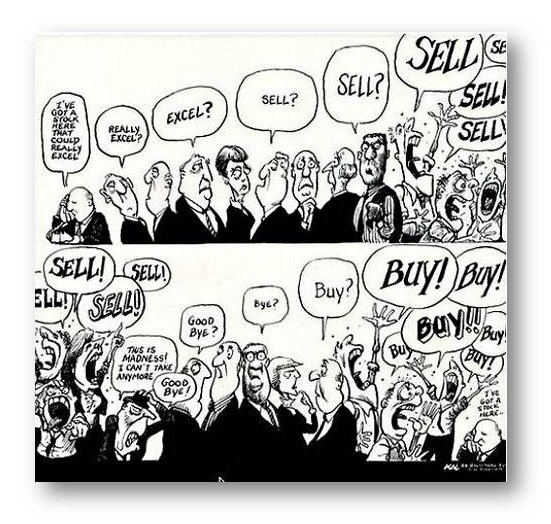 Stock investing is a LEARNED SKILL, for two options: Short Term (for the Geeks or The Traders) and The Long Term Investors (The Warren Buffet way). Your choice. But let me remind you, as my mentor would say.. "85% of people lose money in the stock market.." But no worries, I am on my way learning how to be part of the 15% who earn money. Let me also share you some latest news about stock market investing... you mat also read. Philippines stocks were higher after the close on Friday, as gains in the Property, Services and Banking & Financials sectors led shares higher. At the close in Philippines, the PSEi Composite added 0.17%. 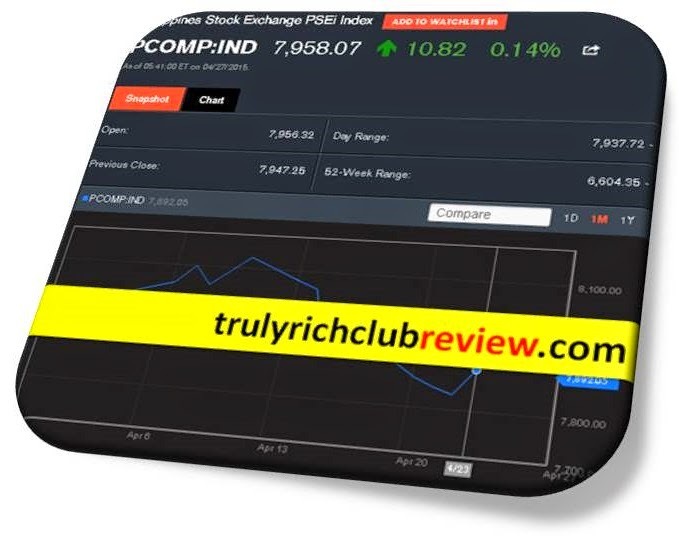 The best performers of the session on the PSEi Composite were LT Group Inc (PS:LTG), which rose 2.14% or 0.320 points to trade at 15.280 at the close. Meanwhile, Ayala Corp (PS:AC) added 2.12% or 17.000 points to end at 820.000 and Globe Telecom Inc (PS:GLO) was up 1.94% or 35.000 points to 1835.000 in late trade. The worst performers of the session were Metro Pacific Investments Corp (PS:MPI), which fell 1.43% or 0.100 points to trade at 6.880 at the close. International Container Terminal Services Inc (PS:ICT) declined 1.32% or 1.000 points to end at 75.000 and Alliance Global Group Inc (PS:AGI) was down 1.26% or 0.160 points to 12.500. Falling stocks outnumbered advancing ones on the Philippines Stock Exchange by 91 to 81 and 61 ended unchanged. Gold Futures for April delivery was down 0.35% or 4.35 to $1228.55 a troy ounce. Elsewhere in commodities trading, Crude oil for delivery in April rose 0.55% or 0.29 to hit $52.90 a barrel, while the May Brent oil contract rose 0.67% or 0.37 to trade at $55.45 a barrel. CNY/PHP was down 0.00% to 7.3012, while USD/PHP rose 0.09% to 50.355. The US Dollar Index Futures was down 0.05% at 102.11. Robrina Lim Go is the president and CEO of UBS Securities in the Philippines, a global company with headquarters in Switzerland. UBS has consistently ranked high in external surveys such as Institutional Investor (ranked first in research in 2016) and Asiamoney (ranked third in research) vis-a-vis its equity products. UBS has also been consistently awarded by The Asset as The Best Brokerage House in the Philippines (awarded in 2012 to 2014 and in 2016) and Best Equity House (2012-2014). Go herself has been named one of the top three industry “salespersons” in Asiamoney polls for eight years in a row. 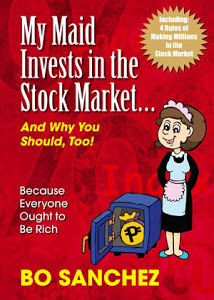 She shares the goings on in the turbulent market and why people should still invest in stocks. Q: When should an investor get into stocks? When should he/she get out? A: Before investing in equities, one should look at his objectives and other considerations such as timeline, target rate of return, need and use of funds, etc. One should not look at investing and then make a return the week after. Often, those who invest in the stock market look for quick returns without gauging the risks. Investing in equities is not a complicated matter, but it would need some level of understanding and appreciation. To begin investing in stocks, it would be wise to read up on macro developments, corporate events, industry issues and the like. One should also learn to understand how global markets and politics impact markets. In cases when these factors converge and affect returns of listed companies, equities then become less attractive instruments. Depending on one’s investment objectives, one could increase exposure in equities—or “overweight” equities in their portfolio (lightening exposure to equities, on the hand, when you go “underweight” equities). And for an average investor, one cannot just learn when is the “right time” to get in or out—you just have to do the trick over time. Q: How does one know a good stock from a bad stock? A: For me, there is no such thing as “good stock” or “bad stock.” Companies go through cycles, which impact their operations and earnings, making them a good investment or otherwise. Companies then are considered favored or “good” when they are in the right structural cycle—when conditions are conducive, such as low interest rates, high demand for their products, etc. Institutional investors generally look for earnings growth and valuation metrics, or the PE (price/equity) ratio. Growth can be driven by sector trends, company strategies, regulations, and more. Beyond the earnings trend, I particularly like companies with good and steady cash flow. Earnings are sometimes depressed by interest expenses (such as when companies have to pay off interest on debt) or by depreciation expenses. However, if the underlying cash generation from operations remains strong, I would consider these companies good investments. On the other hand, I tend to raise concerns on companies undergoing bad cycles, or are under pressure by regulations such that returns are affected. Investors should watch for headwinds in the macro environment. For instance, are rates set to rise such that it could impact returns on equities? Other factors that could make a company a riskier investment are sector outlook (Is the sector under some pressure such as taxation and regulatory limits? ), market position of a company (Is the company losing market share or pricing power? ), among others. Amid all these, one should always consider the valuation of a company: Is the market overpaying for the company such that its PE is on the high side? Or is there value, including cheap valuation such that the market is ignoring the potential returns? Those factors are enough to consider a “good” investment. Q: What are potential risks and concerns for equities in the near term? 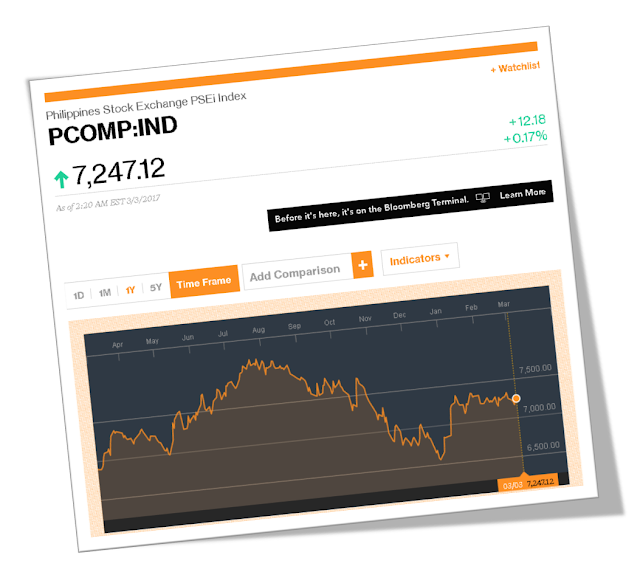 A: The market has become more volatile since the May presidential elections, with the Philippine Stock Exchange index (PSEi) rallying from about 7,000 points prior to the elections to a high of 8,100 points over a span of two to three months. Another three months down the road, the PSEi dropped to 6,600. So we are talking of a range of 1,500 points. Today, that has recovered back to 7,300, so that is another 11 percent upside from the lows. (a) Interest rate movements, inflation rates and monetary policy. If rates start moving up to reflect US Fed rate hikes, these could affect market returns and the attractiveness of equities as an asset class. (b) Earnings outlook for the Philippines, which could be impacted by issues such as rising costs, competitive market parameters, margin pressure, etc. We believe that while corporates remain healthy in the Philippines, the environment is becoming more challenging. (c) State of macro reforms and how fast they can be implemented. We are monitoring the new government’s tax reform and infrastructure reforms, in particular. If they get delayed, investors could become impatient. (d) Politics, locally and globally, could provide risks as policies are altered or prioritized. Q: How have Filipinos changed their attitude in investing in equities? A: Filipinos have become more aware of equities as an asset class. More importantly, there are signs that the average younger Filipino is looking at investing as a learned skill. Today, the speed of news and availability of market data requires connectivity, and as Filipinos are more connected, there are increasing ways on how to learn about an industry or a company. Web-based trading is done digitally, as well as app-based trading—so investors are getting to trade real-time more and more. I think the stock market was more daunting to an average Filipino in the past, but with these tools becoming more accessible, they have embraced the art of investing. That said, the penetration is still very low. For those who invest directly in the market, the number of accounts that have online brokerage accounts would be below the 500,000-mark across the industry. Another way of being invested in equities is through the unit trust funds of various banks and insurance companies. There has also been a major change in that Filipinos these days entrust their hard-earned money to professional fund managers who can manage their risk and return profile in a pooled manner. Either way, Filipinos are looking for higher rate of return, and they are learning to do it via the equities market. In my job, I encounter more maturity and discipline in the Filipino investor. I attribute that to the ongoing efforts of the Philippine Stock Exchange and other industry stakeholders in educating the Filipinos across the country, thus increasing their awareness on how to become an astute investor. Q: What are the bright spots in the Philippine economy? How does that translate to equity investing? A: The Philippine economy is undeniably in one of the most interesting times, either compared to global peers or compared to the country’s own historical record. (d) There are pillars for growth in the economy, which is a consumer-driven economy. These include the $25-billion flow of remittances, $24-billion BPO industry, and $5 billion in tourism receipts that could still grow exponentially. To ride on these positives, listed companies have identified growth sectors. Today, we see companies investing in new areas such as infrastructure, healthcare, renewable energy, technology, financial services and the like. They are also tapping new markets, whether in the Philippines, within Asean, or globally. Companies like Jollibee, URC, ICTSI and SM Prime Holdings all have invested overseas even if they are strong domestically and after seeing double-digit growth levels. Being ahead in the other markets will be able to boost their growth potential over the medium term. As an average investor, investing in equities provides growth opportunities and access to these sectors. Meanwhile, the local economy still needs to see new investments in underinvested areas. I think the current administration is on the right track. It is looking to boost infrastructure spending, shift some of the flows to the Visayas and Mindanao areas and to underinvested sectors such as education and social services. 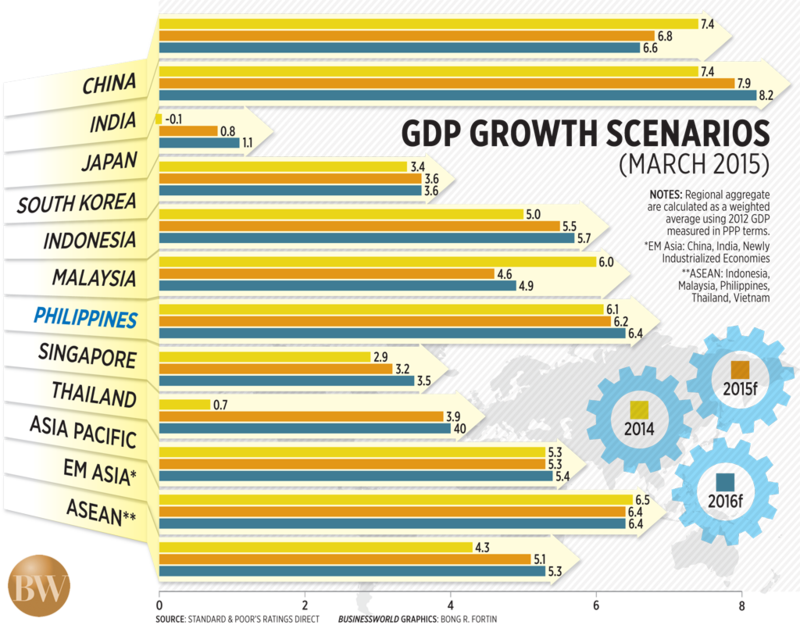 The Philippines is also unique, such that growth is driven not just within Metro Manila. Regional centers are growing at a faster pace, and listed companies are embarking on these growth opportunities. Join the Truly Rich Club. For more information about the Truly Rich Club, go to this link Truly Rich Club or hit the get instant access button below. Successful investing is NOT easy. There, I’ve said it. No point beating around the bush. Don’t get me wrong. It’s not technically difficult. In fact, that’s the easy part. As you know, my maids and messengers have been investing successfully for years now. After a few clicks, they know how to operate the COL Financial website. They know how to buy and sell. I repeat, that’s the easy part. It’s not the technical part that’s difficult. Successful investing is emotionally difficult. You could be a rocket scientist and fail in investing because you don’t know how to control your emotions. And that, my dear friend, is the GREAT SECRET of successful investing in the stock market: CONTROL YOUR EMOTIONS. Let me give you an example. Today, we have the almost perfect condition of the stock market: If you buy at these low prices, you make the most long-term profit. But our emotions don’t see that. All we see is our stock market portfolio dripping with blood. All we see is that our money is 10 percent or 15 percent lesser on paper. And we “feel” depressed. Discouraged. Despondent. So we’re not excited to buy. Instead, we want to sell, run, and cry. But I assure you—if you can control your emotions—you’ll be a great stock market investor. President Benigno Aquino III is optimistic that the Philippine Stock Exchange index (PSEi) will hit 9,000 before his term ends. “I expect to ring the bell in celebration of the index breaching the 9,000 and 10,000 levels hopefully before I step down from office,” Aquino told members of the PSE board of directors and officials of listed companies during the bell ringing ceremony on Tuesday morning. Aquino rang the opening bell at the PSE in Makati City, more than a week after the PSEi closed above the 8,000 level. Last Friday, it reached its all-time high at 8,127.48 points. Aquino recalled that when he first assumed office in 2010, the PSEi was still on the cusp of breaching the 4,000 level. “Now, looking back, I cannot help but think: How times have changed, and might I add: For the better,” he said. The President said there is a lot of optimism in the economic performance of the country. He said it will serve the PSE well and he is hopeful that the index will breach the 9,000 and 10,000 levels before his term ends in 2016. 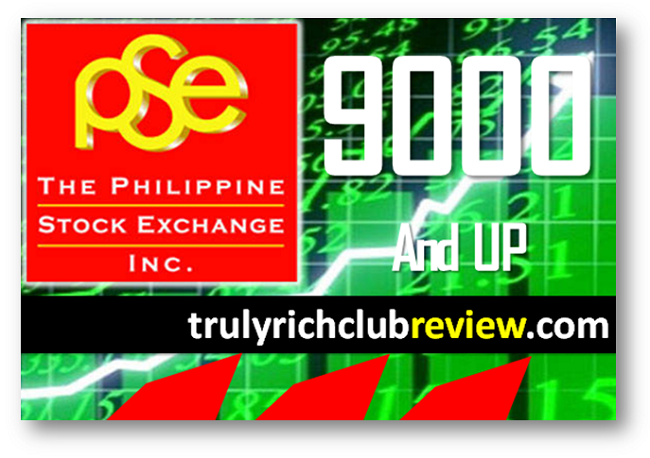 After clocking 27 record finishes so far this year and breaking past the 8,100 level, the Philippine Stock Exchange (PSE) now eyes to break past the 9,000 level. The PSE expressed optimism that the local stock market will be able to break past the 9,000 level, which will be an all-time high. The PSE issued the statement as President Benigno Aquino III sounded the opening bell on Tuesday. In today’s early tarding, the Philippine Stock Exchange index (PSEi) opened at 8,081.61, higher by 8.39 points or 0.10 percent from the previous trading day. Meanwhile, strong corporate earnings in the Philippines have enticed foreign stock investors to flock into the country, triggering a USD1.1bn jump in net foreign purchases in Q1 of this year. Reuters data showed that the net foreign purchases of Philippine shares in January to March recorded the highest for any quarter in almost three years. In contrast, Indonesia and Vietnam posted USD416m and USD18m in net foreign stock buying in the said quarter, respectively. Thailand, meanwhile, recorded USD260.02m in net selling. Rafael Algarra, EVP of Security Bank Corp’s treasury division told Reuters that index shares in the Philippines are being pushed up to the funds coming into Asia, particularly in the Philippines. The Philippine stock market has clocked 27 record finishes so far this year. Do You Want To Know Why Foreign Stock Investors Like Indonesia...But Love Philippines? We have been reading and hearing a lot of good news about the Philippine economy, the uptrend of the Philippine Stock Market, as well as the status of our GDP. Despite the some negative connotation of many, the Philippine economy continues to expand and grow and we believe this growth has been attracting a lot foreign investor not only in Asia but from around the world. "THE PHILIPPINES could further eclipse its peers in the region this year and next as the economy is projected to grow faster than initially expected in both periods, Standard & Poor’s (S&P) said in a new report it released yesterday, citing the country’s strong domestic activity. Bullish business sentiment, coupled with low inflation and higher government spending, likely prodded economic growth to 6.5-7% in the first quarter of 2015, First Metro Investment Corp. (FMIC) and the University of Asia and the Pacific (UA&P) said separately yesterday. In a report, titled: “Slowing China The New Norm: Balancing Credit Stability And Continual Tailwinds,” S&P said Philippine gross domestic product (GDP) could grow by 6.2% in 2015 and 6.4% in 2016. Both estimates are slightly faster than the 6.1% and the 6.3% S&P had given in February for the respective years. The forecasts, however, still fall short of the 7-8% growth target the government had set for both years. Nevertheless, the global debt watcher expects the Philippines to continue to be the main growth engine in Southeast Asia, which is projected to grow at an average pace of 5.1% this year and 5.3% in 2016. The report said the Philippines will “continue to see strong consumption and investment” this year and next. Last year, economic growth came in at 6.1%, a few points shy of the government’s 6.5-7.5% target after a five-quarter-high of 6.9% was logged in October-December. Crawling farm sector output and lower-than-programmed -- and at times even contracting -- state spending had weighed on growth for much of last year." "Net foreign purchases of Philippine shares jumped to $1.1 billion in January-to-March, the highest for any quarter in almost three years and more than twice the net volume of funds flowing into Southeast Asia's biggest economy Indonesia. Government stimulus programmes in Japan and Europe have unleashed a global flood of liquidity. Investors have flocked to the Philippines, drawn by strong corporate earnings, analysts say. The broad market index in Manila has clocked 27 record finishes so far this year. The benchmark has also been boosted by the increased weighting of the country in the MSCI Emerging Markets and MSCI Asia ex-Japan indexes in February. "We see lots of funds coming into Asia, and particularly, in the Philippines. That's why index shares are being pushed up," Rafael Algarra, executive vice president of Security Bank Corp's treasury division, told Reuters. In contrast, Indonesia and Vietnam posted $416 million and $18 million in net foreign stock buying, respectively. Thailand recorded $260.02 million in net selling, Reuters data shows. Foreign funds are enticed by the outlook for the consumption-driven Philippine economy versus those of its neighbours, said Michaelangelo Oyson, president of the securities arm of Bank of the Philippine Islands. The big winners in the first quarter included snacks and beverage maker Universal Robina Corp, and conglomerates LT Group Inc and GT Capital Holdings Inc, both of which own consumer goods businesses, Oyson said."